On August 9, 1814, Major General Andrew Jackson, "Old Hickory," signed the Treaty of Fort Jackson ending the Creek War. The agreement provided for the surrender of twenty-three million acres of Creek land to the United States. This vast territory encompassed more than half of present-day Alabama and part of southern Georgia. The war began on August 30, 1813, when a faction of Creeks known as the Red Sticks—because of their red war clubs—attacked American settlers at Fort Mims, near Lake Tensaw, Alabama, north of Mobile. This attack is considered a primary cause of the Creek War. In response, Jackson led a force of militiamen in the destruction of two Creek villages, Tallasahatchee and Talladega. On March 27, 1814, Jackson's forces destroyed the Creek defenses at the Battle of Horseshoe Bend. More than 800 Creek warriors were killed defending their homeland. 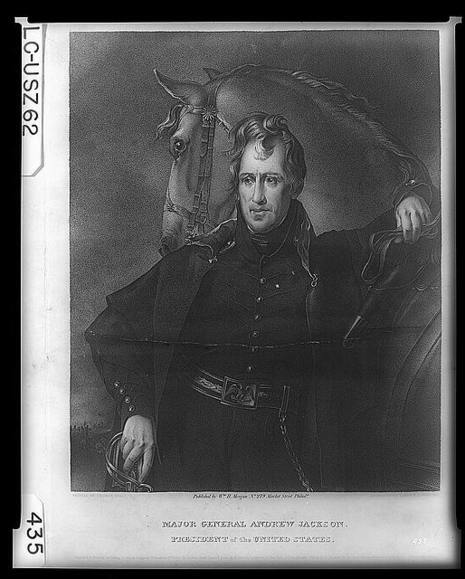 Jackson was appointed commander of the Tennessee militia in 1801, with the rank of colonel. During the War of 1812, Tecumseh incited the "Red Stick" Creek Indians of northern Alabama and Georgia to attack white settlements. Four hundred settlers were killed in the Fort Mims Massacre. 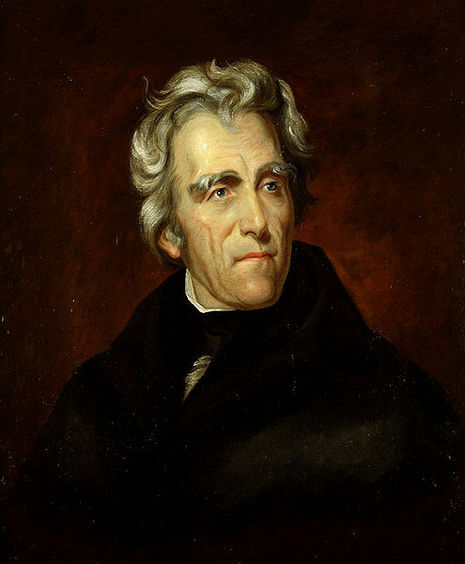 In the resulting Creek War, Jackson commanded the American forces, which included Tennessee militia, U.S. regulars, and Cherokee, Choctaw, and Southern Creek Indians. Jackson defeated the Red Stick Creeks at the Battle of Horseshoe Bend in 1814. Eight hundred "Red Sticks" were killed, but Jackson spared chief William Weatherford. Sam Houston and David Crockett served under Jackson in this campaign. After the victory, Jackson imposed the Treaty of Fort Jackson upon both the Northern Creek enemies and the Southern Creek allies, wresting twenty million acres (81,000 km²) from all Creeks for white settlement. Jackson was appointed Major General after this action.